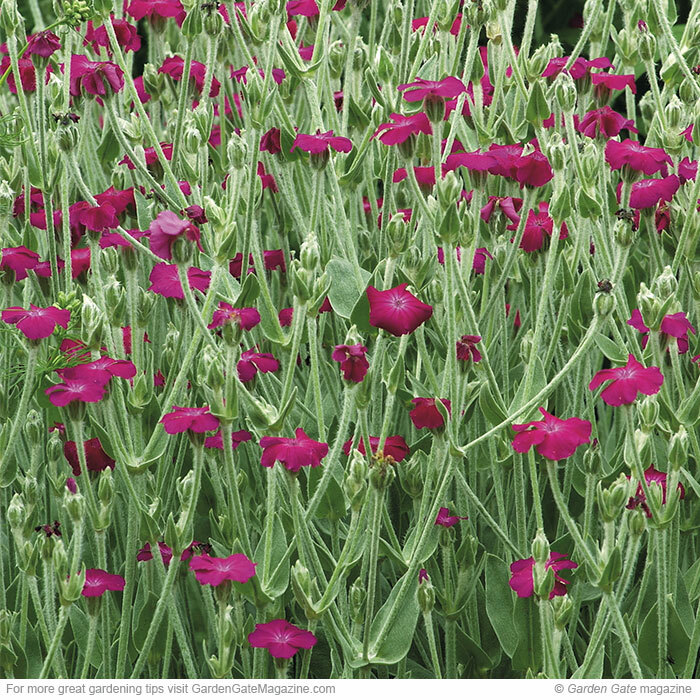 Brighten beds and borders with easy-care lychnis. Want bright summer blooms almost anywhere in the garden? Out-of-the-ordinary lychnis (Lychnis spp. and hybrids) is perfect for beds, borders and containers in full sun to part shade. Plant these stunning flowers with other hot colors for showy, eye-catching combos. 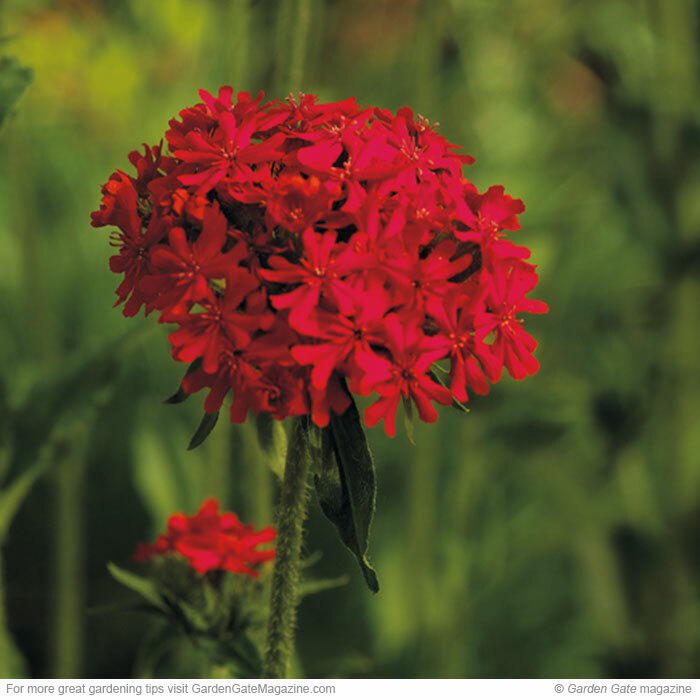 Each lychnis has a different common name and flower type — just keep clicking to find out more. No matter what they may be called, though, the three lychnis favorites ahead are all easy to grow. 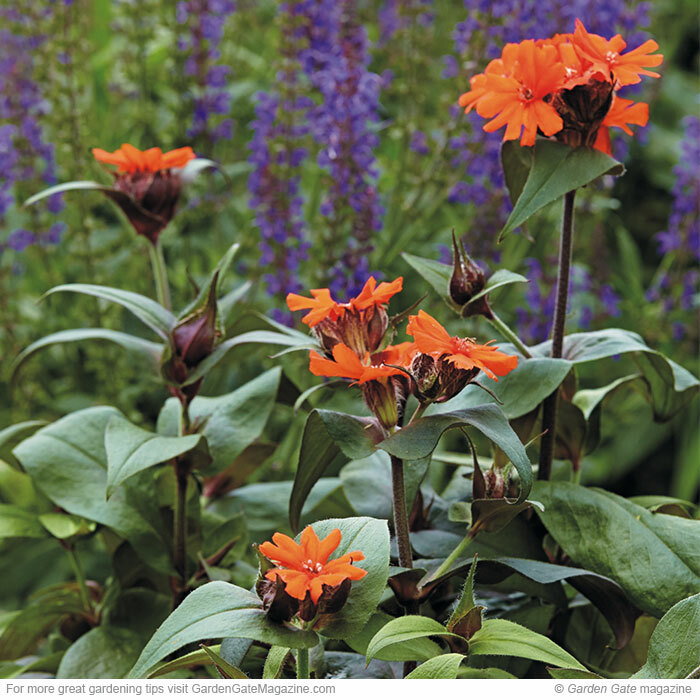 The red-orange 4- to 5-inch blooms of Maltese cross, made up of a cluster of 20 to 50 flowers, stand out in the garden. It forms a low-growing rosette with 36- to 48-inch-tall flower stems and is cold-hardy in USDA zones 3 to 9. 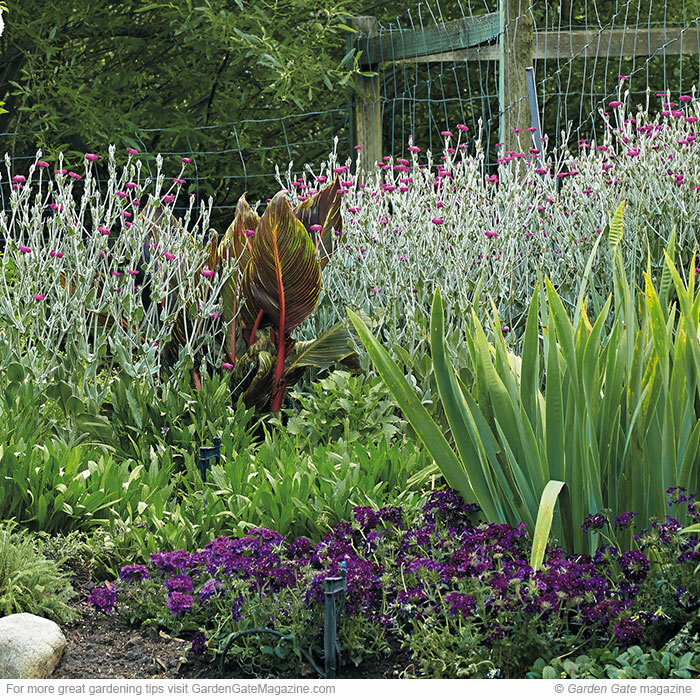 To keep Maltese cross more compact, you can either pinch or prune it back before it blooms. Pinching the tips of plants in early spring, at 6 inches tall, will help branches become sturdier and produce more flowers. Where some lychnis have broad leaves and a coarse texture, others have an airier appearance. Rose campion is one that adds fine texture with its small flowers and narrow, well-branched stems. It’s an easy-care choice if you have a big area to fill — large sweeps of flowers are stunning to look at and butterflies are attracted to the mass of bright rose-crimson blooms. Blooming late spring through summer, it grows 30 inches tall and wide. This type of lychnis tolerates clay soil and is cold-hardy in USDA zones 3 to 9. Arkwright’s campion is a hybrid cross of three species. ‘Orange Gnome’ here is a more compact cultivar. It only gets about 12 to 15 inches tall and 8 to 12 inches wide and is cold-hardy in USDA zones 5 to 8. So many new plants are introduced every year, but these 3 stand out from the crowd! Use this tip to make weeding a quicker, easier task.